With Service Pack 1 of .NET Framework v2.0 we get a new member of that class: SystemIcons.Shield. So, if you are on Windows Vista and you are working with User Account Control, you may find it a useful icon to use (for example on a menu). "How can I determine if User Account Control is on or off via code?" "You are asking the wrong question. Who cares?" The point being that, regardless of whether the user has turned off UAC or not, your application should still be partitioned and work correctly for both admins and non-admin users. It is irrelevant if UAC is on or off. You should still display the shields, you should still gracefully fail if the user is not an admin (same as you would if the elevation prompt came up and the user cancelled, same as you should if you were running on XP). The academic answer to the original question is that you can read it from the registry (much like the built-in Security Centre does). Since there is no genuine requirement to know this stuff from code, there is no API for it. I have read blogs where others get further information regarding elevation about the user's account by pinvoking native APIs, but again, I remain totally unconvinced about that need. Your app shouldn't care about anything else: all that matters is if the user has admin rights at the moment your admin code is about to execute, nothing else. If you disagree and think you have a genuine reason for knowing more than what I describe above, then please post your scenario to the relevant forum linked to from here. You've probably read my posts on UAC (tip: read bottom up), and in my talks I always explain how to factor out into separate processes any admin functionality. What I've never explained is how to factor into out-of-proc COM objects the admin functionality. 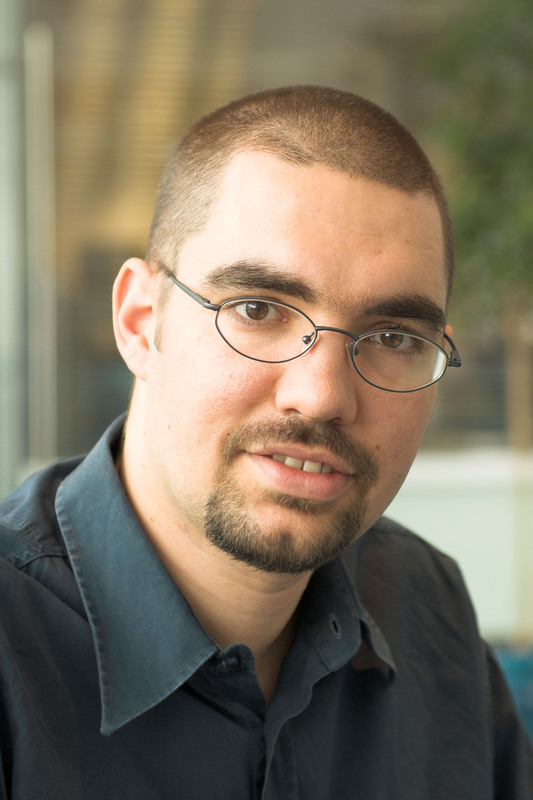 Christoph has explained that on his blog and has done it all in managed code no less! Check his posts out starting here (and follow his links for the rest). Those of you that have attended my talks on UAC will have seen the demo where we extract a process and run it elevated (i.e. an elevation prompt requires the consent of the user). Here I want to add some extra juice to that one. So what is the extra juice I want to add in this post? Well there are two things that were nagging me with the way I showed how to launch the process. One was that the UAC consent dialog that comes up was not modal to the main application (since it was being launched for another application). By default you do not observe this but since in my setup I have disabled the policy “Switch to the secure desktop when prompting for elevation”, it affects me [NOTE: I do not recommend you disable that policy, it just happens that I have it like that for historical irrelevant reasons]. 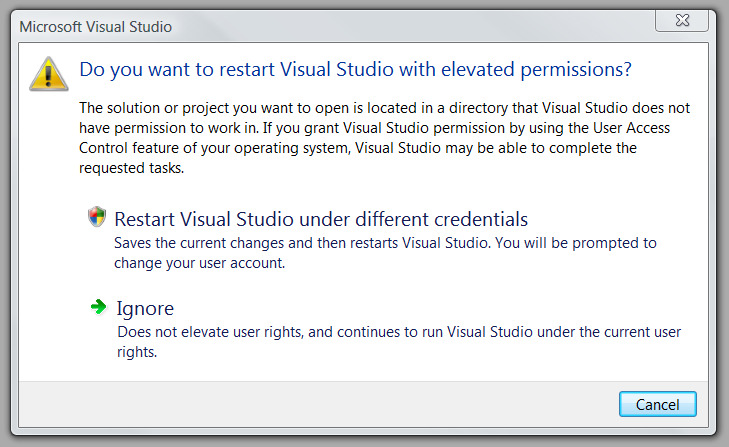 I was tipped-off that to make the UAC dialog modal, you must pass to the ShellExecute call the handle of the main app. The other thing I didn’t like was that if the process we launch elevated has its own UI, then that is also not modal to the application. You, yes *you*, may not be gearing up to Windows Vista just yet but there is one core security element of Vista that IMO you must understand as soon as possible, and start working for it today on whatever Windows OS you are on. The feature in question is User Account Control. Please follow the links from item 5 here (it allows me a central place for updating resources). Now that you've read those, I hope you understand UAC. In essence, when you set up user accounts on Vista, even if you set some of them as administrator, all interactive processes will run as standard user! The benefit is that any malicious code that gets on the user's machine also runs as standard user. 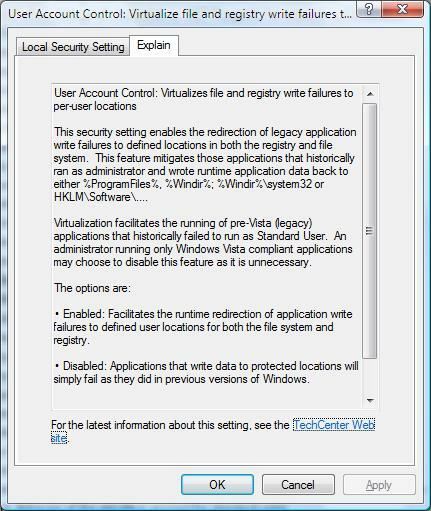 If your applications require administrator privileges for some features, they will basically break on Vista (oversimplification aimed to scare you, but essentially true if you choose to ignore understanding UAC). 1. Add to your VS2005 C# project this manifest file (replacing MyProjectNamewith your actual project name). Open the file in notepad and replace MyProjectNamewith your actual project name, same for description and Version. 2. Add this rc file to your project (replacing MyProjectName with your actual project name and removing the .txt extension). Open it with notepad and change MyProjectName to your actual project name. The big clue that this has worked for you, apart from no compilation errors, is that virtualization gets turned off for your app (regardless of the security policy setting, which I show in my nugget). Try writing to HKLM and watch it fail with the manifest and succeed without. If you change the level attribute of the requestedExecutionLevel element in the manifest from asInvoker to requireAdministrator, then you'll get the elevation prompt at startup (do this only if your app is explicitly aimed at administrators).